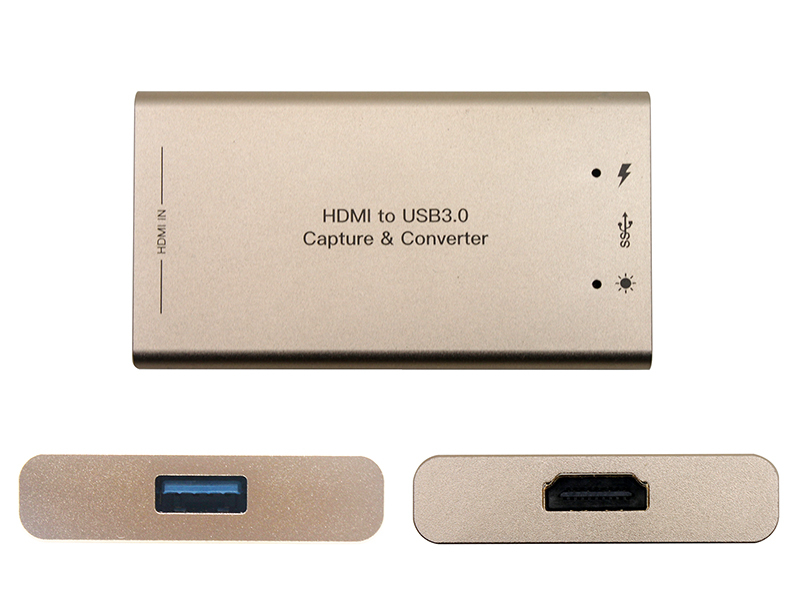 HDMI USB 3.0 Video Capture Dongle - Zowietek Electronics, Ltd. The HDMI USB 3.0 Capture Dongle can send resolutions up to 1080p full HD video to your computer for recording or streaming. It uses the existing drivers on your computer, the capture device will work with any software that supports those drivers. So it is truly Plug and Play, easy carry, easy installation, best compatibility and superior performance. The dongle is based on USB Video Class (UVC) and USB Audio Class (UAC) standard. Therefore, no drivers and setting required for any OS that supports UVC and UAC. It is Plug and Play USB device that support windows DirectShow/DirectSound and Linux V4L2/ALSA. USB Capture Dongle family has HDMI and SDI inputs, two difference dongles for option. It can capture SD, HD, 3G-SDI, HDMI signals. Internally scale up/down resolution is support, so that stream or record to any resolution is possible. It can also perform frame rate conversion , de-interlacing in real-time inside the dongle without increasing the computers CPU load. The Dongle is compatible with Windows, Linux, MC OS X. It will works for any USB 3.0 port, also backwards compatible to USB .20 interface. It can also work with any USB port that is expanded from PCIe. USB video capture dongle is capable of streaming video like video capture, webcams, digital camcorders, transcoders, video converters, still image cameras etc. Support up to 1920 x 1200p 60Hz(CVT-RB) video input. Video and audio processing is done by the dongle and will not occupy CPU. The processing includes up/down scaling of video resolution, frame rate and audio sampling rate. Support output format: 4:4:4, 4:2:2, YUY2, RGB 24, 8 Bit.Support output format: 4:4:4, 4:2:2, YUY2, RGB 24, 8 Bit.